The phoney ISIS/ISIL "terrorist" group is still making headlines I see..... Again last week we found clear evidence of the fraudulence of that group with videos and reports of American/NATO/Israeli supplies clearly being airdropped to the "ISIS" forces in Syria and northern Iraq.... It is so ridiculous that most people still do not see this as clear evidence that "ISIS" itself is a complete hoax and scam... But of course the liars in the Jew spew media are still going absolute hog wild with report after report about the "ISIS threat" and all kinds of new ways that "ISIS is going to get you!"..... Lets be clear here once and for all that "ISIS" is of course the rebranding of the equally phoney and fraudulent "Al Qaeda" and that their goal is to create havoc in the Middle East and to lay the ground work for the expected US/NATO/ Israeli assault on the innocent nation of Syria.... 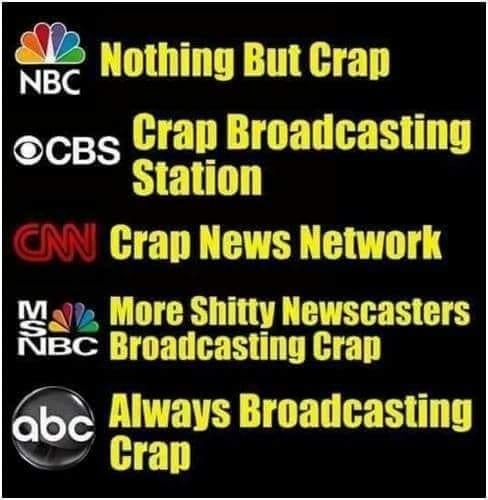 It is also a fact that the Jew spew media is doing their part in constantly ramming "ISIS" into weak minded peoples' brains in the hope that with enough brainwashing and propaganda, these fools will believe it to be real! OK, I put out an article just yesterday covering what I believed has happened with that assassination of Russia's opposition leader, Boris Nemtsov, just late last week.... That shooting was most clearly a false flag attack done by either US CIA agents or the Israeli Mossad with the goal being to vilify both Vladimir Putin and Russia itself..... Common sense should enter everyone's minds right here... What would Putin gain by killing the leader of Russia's main opposition party? The answer is simple.. NONE!.... Putin is absolutely no fool and fully understands that the Americans and the EU are in trouble in Ukraine for the mess they created there, and that these criminals fully believe that the only way out of the Ukrainian debacle is to escalate the war by having excuses to attack Russia itself.... Having the leader of Russia's opposition party assassinated and putting the blame on Putin is exactly what these fools believe will cause the general public to suddenly vilify Russia.... The key here is again how suddenly the liars in the Jew spew media have been all over this assassination and have all been very quick to blame Putin himself for that murder.... I have also noticed how quickly all of our criminal governments, including the one running this formerly free nation of Canada, have been quick to the draw with this obvious false flag attack and have also been openly blaming Putin right on cue.... That quickness to blame Putin clearly should signal to everyone that this assassination is not as the media claims, and we indeed are seeing another false flag attempt to get a nice little war with Russia going.... As the saying always goes when it comes to these incidents...If you figure out exactly who benefits from these attacks, then you have your culprits! Thanks again for your insights and keeping us all in the know. If people do not wake up now, then it will be too late for everyone..
Hi again...can't help but make another 'simple' analysis. 1. Why would V.Putin's government do this when they are clearly giving safe harbor to Snowden? 2. And if one accuses Russian government of this assassination, then answer me, "Why they didn't do it earlier seeing it for what it plainly was?". No...this is too plain for me. A false-flag, set up, and a plan to bring Russian economy down. It is reported today that the rubble has plummeted...but we don't know the Truth about that. If it has, then all the more reason to cement allies with Iran and China, and Latin America having breaking away from American/EU/Israel hegemony. I also find it not a coincidence that this comes just before the illegal visit of Netanyahu to US Congress and before his elections. He is vehemently against Iran deal and their close ties with Russia. I believe in the one simple Truth, "We reap what we sow", and in this America/EU/Israel will reap its sowing. Yes, Isis a fraud; 'Jihadi John' a complete hoax - a bogeyman created by intelligence to keep people fearful of Muslim terrorism and prepare the ground for conflict in the Middle East. Shameful that the mainstream media have taken to such blatant lying.